The Chinese Ambassador to Syria, Qi Qianjin, has shocked Middle East pundits and observers with statements this week indicating the Chinese military may directly assist the Syrian Army in an upcoming major offensive on jihadist-held Idlib province. The "[Chinese] military is willing to participate in some way alongside the Syrian army that is fighting the terrorists in Idlib and in any other part of Syria," the ambassador said in an interview with the pro-government daily newspaper Al-Watan, subsequently translated by The Middle East Media Research Institute (MEMRI). Substantial rumors from pro-Damascus sources of a major Syrian-Russian led offensive to take back Idlib, held since 2015 by a Nusra Front dominated coalition (since rebranding itself as Hayat Tahrir al-Sham/HTS), have been swirling since the now successful Assad campaign to take back the whole of the south was initiated, and these sources indicate the battle could begin as early as September. But crucially, Idlib province is now the ground zero gathering point of nearly all jihadist and ISIS factions remaining in Syria, including foreign fighters. According to some estimates there are upwards of 40,000 armed jihadists within the main anti-Assad factions in Idlib, embedded within a population of about 2 million civilians and internally displaced persons (IDP's). Thus the coming battle for Idlib is expected to be among the most bloody and grinding of the entire seven years of war, similar to Aleppo in 2016. 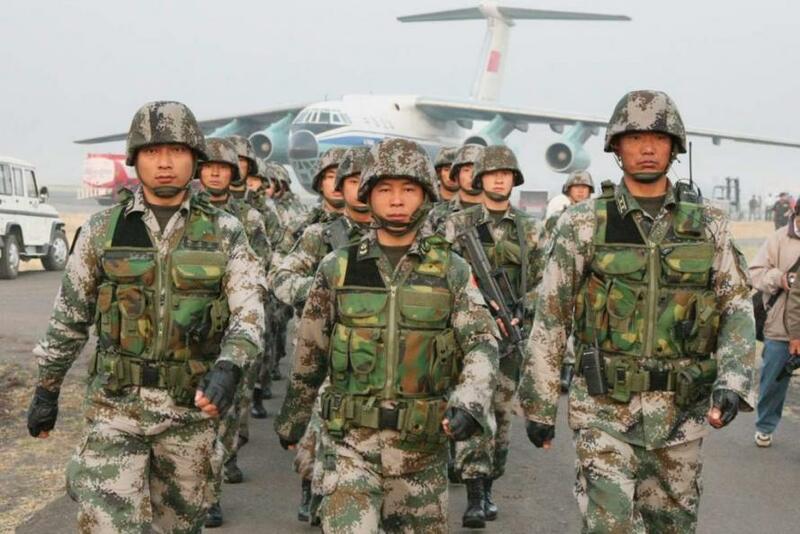 China is chiefly interested in allying with Syrian government forces to root out the significant component of Chinese Muslim foreign fighters operating in Idlib. 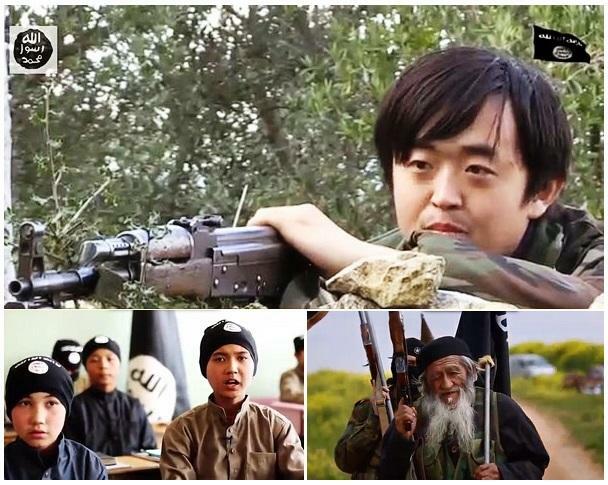 The hardline Islamist Uyghur militants have entered Syria in the thousands over the past few years from the western Chinese province of Xinjiang, where the minority ethno-religious group has found itself under increased persecution and oversight by the state. In 2017 the Syrian government estimated their numbers at around 5,000. Chinese Ambassador to Syria Qi Qianjin emphasized mutual counter-terror interests in his comments while making indirect reference to Uyghur jihadists, telling Al-Watan: "...There is positive military cooperation between China and Syria in the domain of counterterrorism. We know that the war on terror and Syria's campaign against the terrorists serve not only the interests of the Syrian people but also the interests of the Chinese people and of [all] the peoples of the world. He explained further of Chinese interests in the war: "There has been close cooperation between our armies in fighting the terrorists [who came to Syria] from all over the world, including terrorists who came from China. This cooperation between the armies and [other] relevant elements will continue in the future..."
When asked about the upcoming Idlib offensive, Qianjin replied that China "is following the situation in Syria, in particular after the victory in southern [Syria], and its military is willing to participate in some way alongside the Syrian army that is fighting the terrorists in Idlib and in any other part of Syria." 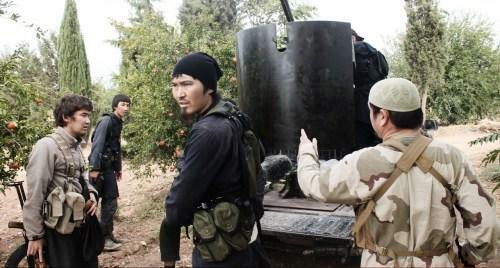 Chinese Uyghur's have entered Syria in the thousands, confirmed through multiple of jihadi ​​social media sources and images. And in a separate statement to Al-Watan, a Chinese military attaché to Syria, Wong Roy Chang, backed the ambassador's statement, albeit in a more reserved tone. Chang said, "The military cooperation between the Syrian and Chinese armies is ongoing. We have good relations and we maintain this cooperation in order to serve the security, integrity and stability of our countries. We – China and its military – wish to develop our relations with the Syrian army." However, when pressed over whether Chinese troops would assist in the Idlib campaign, Chang said it was a "political decision" to be decided by Beijing. Meanwhile in the broader context of this week's broader escalating trade war with Washington, and as China has long eyed being first in line torebuild Syria in close economic partnership with Damascus, Chinese companies in the Middle East will increasingly find themselves targeted by the West, as the US is seeking to prevent further Chinese and Russian entrenchment in the Middle East.